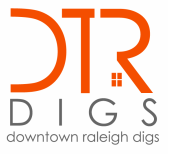 This report shows aggregate data for condo sales in the Downtown area. It's great info for anyone looking to buy or sell, or just wanting to keep track of the market. The 2014 State of Downtown Report contained information on residential prices per square foot per building. The included chart was mis-labeled. Here is a corrected chart.